Have you ever considered doing what I do for a living: help people make important personal changes as a Certified Hypnotist with the National Guild of Hypnotists? If you have then please join me at an informal introductory evening. 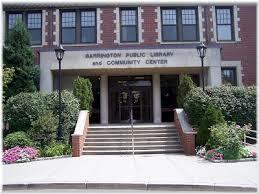 January 4th from 7PM to 8:30 PM at the Barrington Public Library Trustee Room. Will you need a license? How much can you expect to charge? How to add hypnotism to an existing practice whether as a therapist or holistic practitioner? Will you need any license? Could you join the course just for personal growth and development? What is covered in the program itself? ..and, of course, is this the right next step for you in your career and personal development? Space is limited, so please click here if you want to attend – or otherwise let me know via email (john.koenig.hypnotist@live.com) or phone 4-1-374-1890 or 401-556-1289. This video is for anyone – whether you are a graduate, thinking about joining my certification program, or just surfing the web. Just bring an issue that is troubling you, relax and see what happens…oh and then email me to let me know what you got out of it. Did you know there is a hypnotist union? Yes! Over 500 of us hypnotists have unionized to protect our right to provide you with an alternative to more expensive (and often less effective) for personal growth. 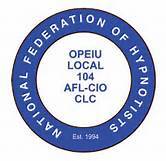 The National Federation of Hypnotists OPEIU-AFL-CIO is an independent organization that functions as the political affiliate of the National Guild of Hypnotists. It is chartered as Local 104 of the Office and Professional Employees International Union (OPEIU) of the AFL-CIO and CLC, the union that represents physicians, nurses, chiropractors, podiatrists, acupuncturists, midwives and other health care workers. OPEIU has represented hypnotists since 1980. Affiliation with the AFL-CIO gives hypnotists access to the political and legislative apparatus of the AFL-CIO at every level of State and Federal Government. The Federation, or NFH 104 for short, has a national jurisdiction with members throughout the United States, Canada and England. NFH 104 has done more to protect the rights of hypnotists to practice that all of the other hypnotist organizations combined. Any hypnotist may join NFH 104 provided that you support the standards recommended for the practice of hypnosis and have a minimum of 100 hours of training in hypnosis. NFH 104 maintains an exhaustive database of legislation, maintains a national legislation watch regarding laws that might effect the right of hypnotists to practice, and has a good record of success intervening in specific states to protect the rights of individual practitioners who are under media or political attack. Congratulations to new Certified Hypnotist and Rhode Island Hypnosis Training graduate Brian Fernandes on being the most recent Rhode Island certified hypnotist to join Local 104. I first met John when I booked an appointment for a consultation to potentially work on a fear of public speaking and some other issues at his practice, Possibilities Hypnosis. I was skeptical, and potentially thought I was crazy for trying something so foolish as Hypnosis. I met with John and was immediately put at ease and given and in-depth look at what Hypnosis really was. I became very interested, and moved forward with much success on my issues thanks completely to John. I remained in contact with him and my Hypnosis continued to grow. As time passed I learned John opened his own training school, Greater Rhode Island School of Hypnosis. I was unable to make the first two classes due to my work schedule in Public Safety. Finally, I got a break. Nothing was stopping me from attending his program. I enrolled and learned more than I could have ever thought personally and professionally. I was growing as a person, and into a Hypnotist. His experience and hands on style was great. I was able to hit the ground running with my very own practice, Breakthrough Hypnosis of Rhode Island, LLC because of him. Additionally, John has successfully, brought together a group of our peers here in Rhode Island who have graduated from his programs. Our own active NGH chapter right here in Rhode Island. There is tons of useful information sessions, networking, and support because of John taking the lead on this and diligently working for our overall success. 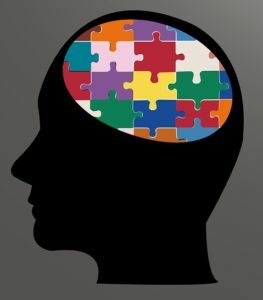 Additionally, John had his own unique program The Possibilities Process™ that he has shared with us for our own success. Are we starting to see a trend here for dedication and excellence? I know I am. Essentially, words alone cannot do enough justice to all John has achieved and done for the profession. He is an example of exactly what the NGH stands for. So, why not ask yourself today how such an outstanding professional could be anything but what you stand for? I invite you to strongly consider bestowing this honor on a man who is so honorable to begin with. Thank you for your time and consideration to this email.